"I just wanted to send you this picture of my house now that the trees are gone. I was able to clean up all the bird feces and dirt. I painted and spruced it up. What a big difference. The company you hired did a great job on the sidewalk. Another great thing is that people used to come park their cars under the covering of those big trees and sit in the shade and smoke dope. I've even found condoms. Now that's over too. I am so happy. 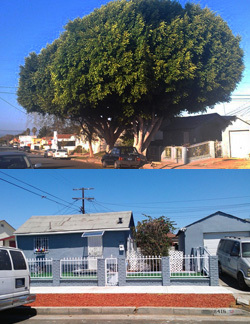 While I was cleaning up and painting, over 20 neighbors came by to express their happiness to see those trees gone, and how much better the neighborhood looks now. Everyone says how nice it is to now have a sidewalk to walk down without having to look out for all those tree roots buckling the sidewalk, and you can park your car and actually exit on the sidewalk now that the tree roots are gone. It absolutely wonderful!! 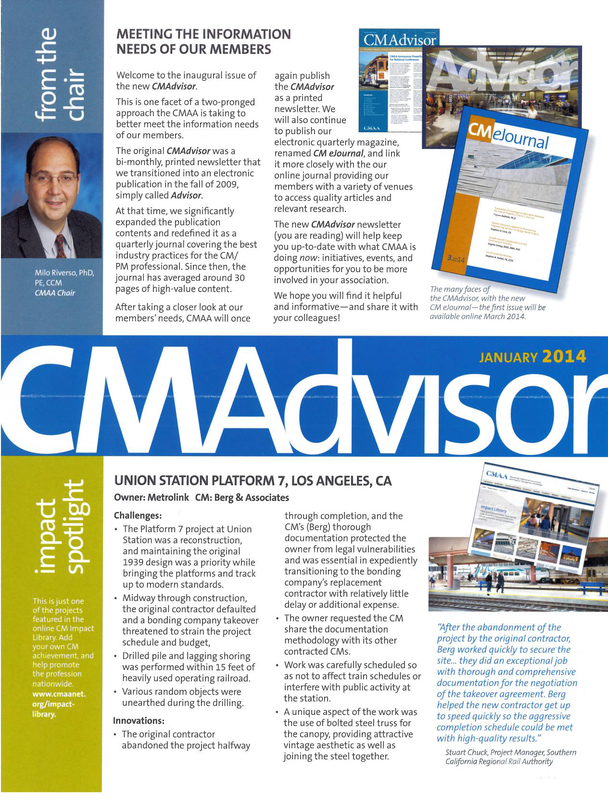 Our CMAA Project of the Year, Union Station Platform 7, is highlighted in the CMAA Advisor January 2014 magazine. 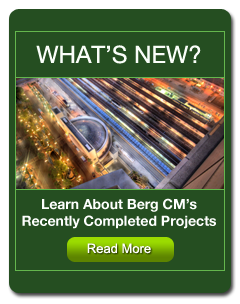 BergCM is excited to serve as CM for the Los Angeles Neighborhood Initiative on this historically important downtown Los Angeles Theater District project. 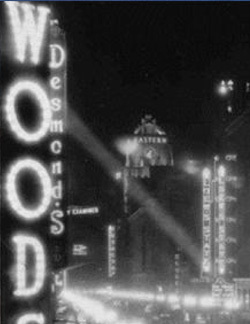 The Bring Back Broadway Architectural Lighting grant project will illuminate some of the most iconic buildings in this culturally important area which is experiencing revitalization thanks to the efforts of Council person Jose Huizar. 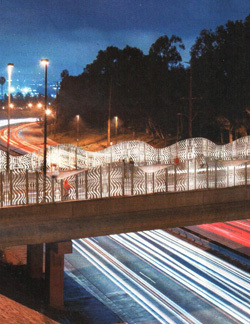 Our award winning Kenneth Hahn State Recreation Area Improvements at La Cienega Bridge project continues to capture the hearts of all who drive, walk or bicycle by this luminous bridge art piece. 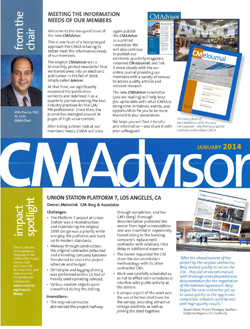 Here is a recent article from Public Works Magazine (PDF) recognizing this projects attributes, March 2014. With train ridership numbers steadily on the rise and more people getting out of their cars in favor of public transit, restoration of L.A. Union Station's original Platform 7 and corresponding Tracks 13, 14 & 15 became a necessity. Metrolink partnered with Berg & Associates Construction Management to oversee the building of this much needed addition to L.A.'s most important transportation hub which earned the CMAA Project of the Year Award 2013. 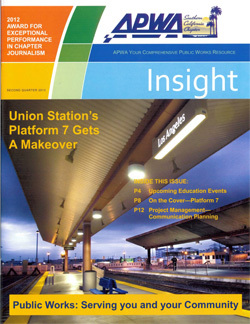 Approximately $8.5 million in improvements to Platform 7, one of L.A. Union Station’s original boarding platforms, have been completed. The project entailed restoring Tracks 13, 14 and 15, which were removed from service more than 35 years ago. In addition, crews built new stairways and accessible ramps on the north and south sides, connecting to L.A. Union Station’s main passenger tunnel. 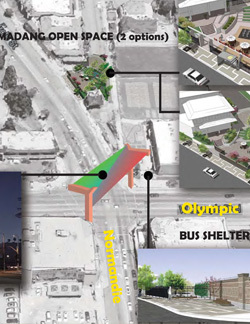 Both of these improvements will allow Metrolink to better accommodate growing ridership by operating on more tracks and allowing for a smoother flow of passengers to and from the trains and tunnels. Other improvements included installing energy efficient lighting and new message boards and revamping our train yard communication and backup electric systems to facilitate improved emergency response in the event of a power outage. 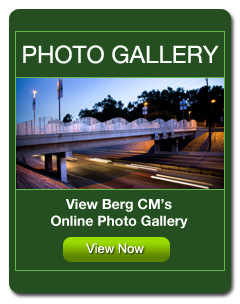 The Architect's Newspaper features an article about BergCM's recently completed La Cienega Bridge Artwork at Kenneth Hahn State Park, showcasing the artistry of the design by artist Cliff Garten. BergCM is proud to have provided Construction Management Services for this exquisite jewelpiece adorning the entrance to the Baldwin Hills parklands. The Port of Los Angeles was awarded the prestigious Project of the Year 2012 Award for Wilmington Waterfront Park by CMAA. BergCM was proud to oversee this project as the Construction Management team and attend the awards ceremony in downtown Los Angeles.